I don’t go to Canary Wharf that often, but when I do I have a pretty good reason. So when Tom’s Kitchen asked if we’d like to come and try out some of their latest menu, we hopped on the DLR and couldn’t wait to try it. 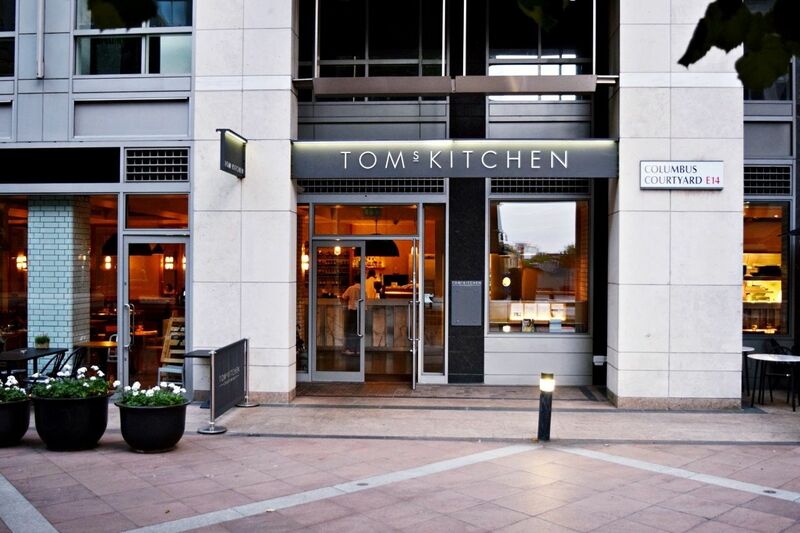 Canary Wharf has become a hot spot of the latest restaurants and shops over the last couple of years and Tom’s Kitchen certainly has added to that. With a bar, deli and a restaurant cooking up all sorts of British comfort foods there is sure to be a little something for everyone. Tom’s Kitchen is located at Columbus Courtyard and inside it has a very welcoming atmosphere, there is leather and wooden seating, chalkboards with the specials and candles on tables ready for tonight’s dinner. 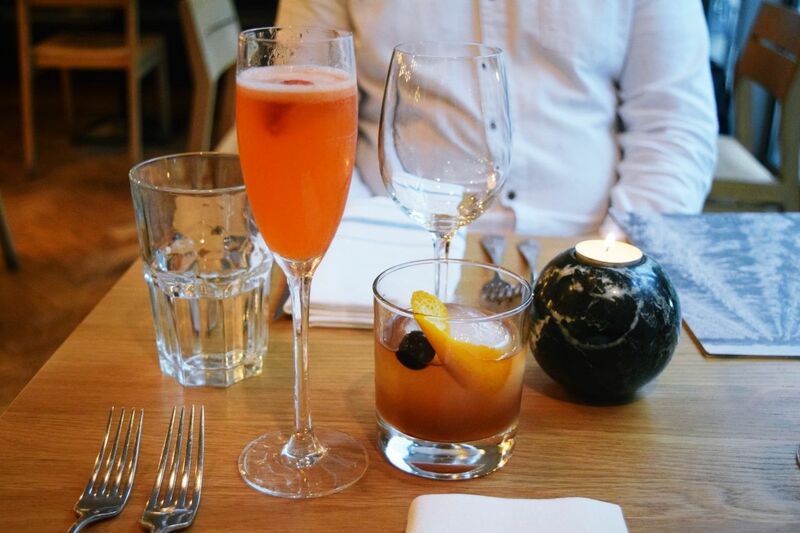 Danny and I started off with a couple of cocktails, the list was so good it was hard to choose which one I wanted. Sometimes I find places trying to be too cool with cocktails and then you end up not wanting any, but here I wanted them all. I chose the ‘Crazy Horse’ a bubbly mix of Grey Goose vodka, fresh strawberries, passion fruit syrup and champagne, absolutely perfect. Whilst Danny went for a rum old-fashioned. 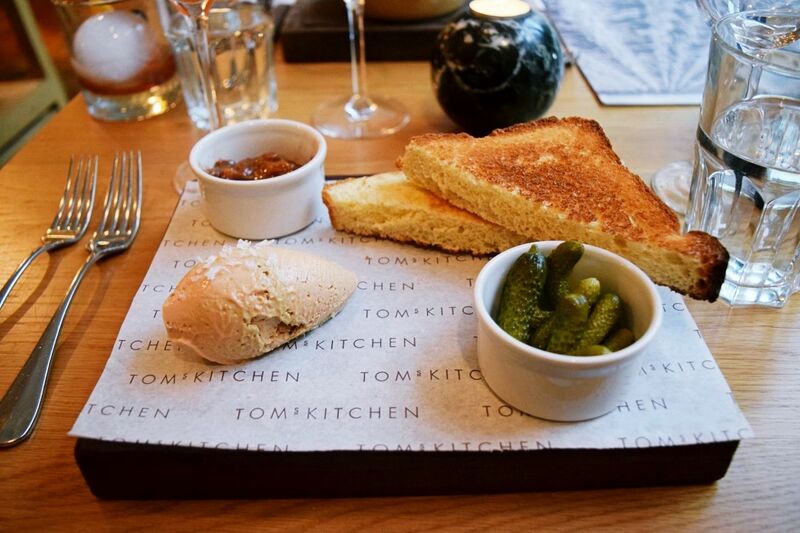 For starters I had the chicken liver & foie gras parfait which came out served on a wooden board with Tom’s Kitchen paper, a pot of chutney and a few massive slices of brioche. This was definitely a good-sized portion, very filling and it wasn’t around long. 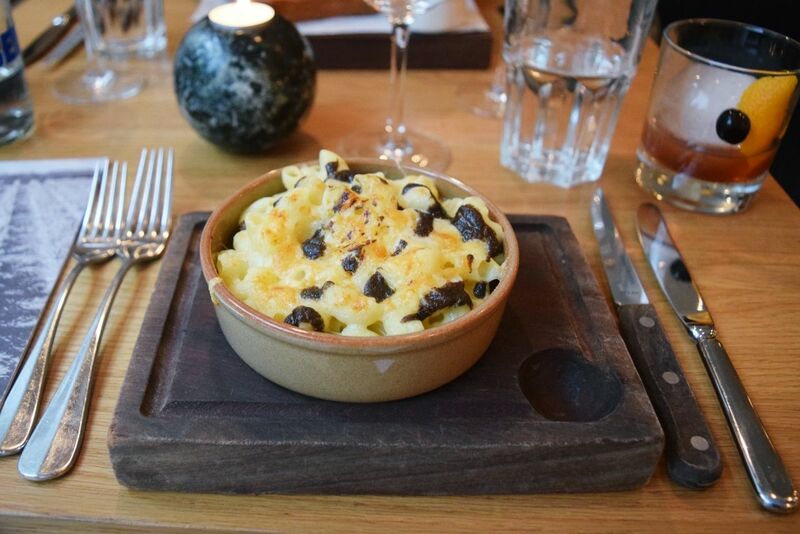 Danny had the truffled macaroni cheese, which again was a really big portion for a starter but went down very well with him. 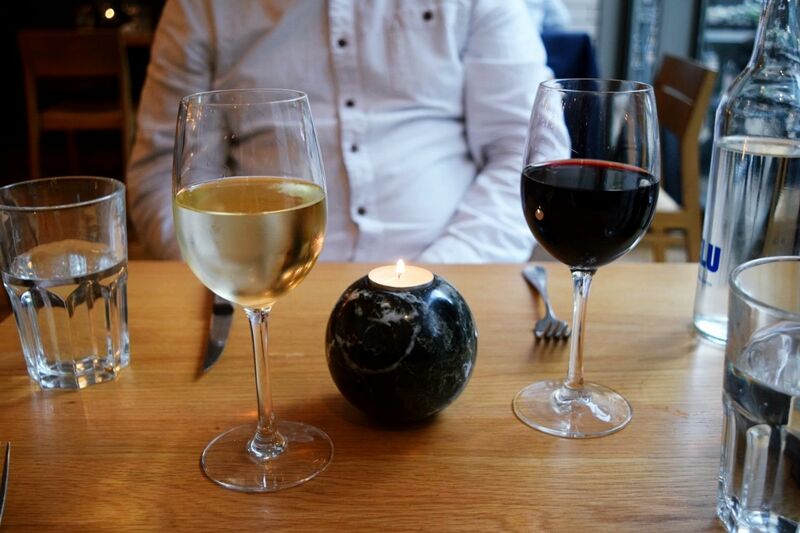 Our mains were accompanied by a glass of wine each, red and white of course and I had the sirloin steak on the bone, cooked medium. 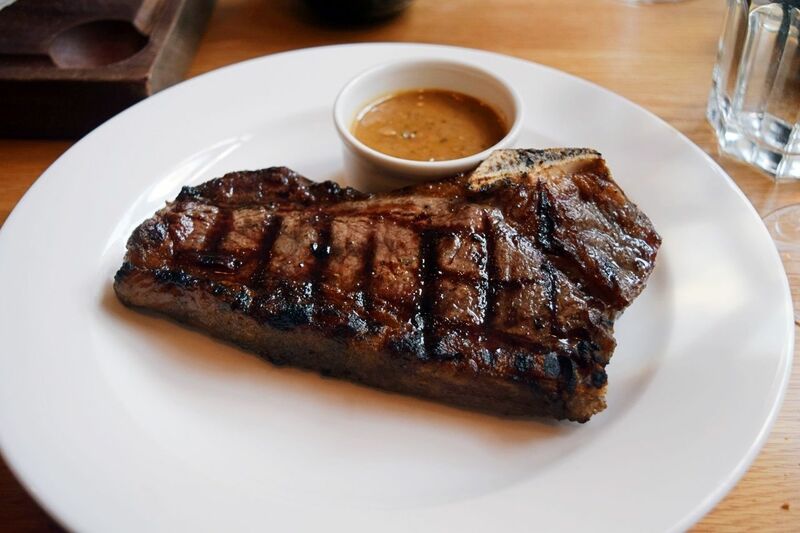 The steak comes on the bone to give it that extra flavour and I also had it with the peppercorn sauce. It was really lovely, quite salty which I like and cooked just to medium perfection. I found it had quite a bit of fat on it, but I guess that’s from the cut. 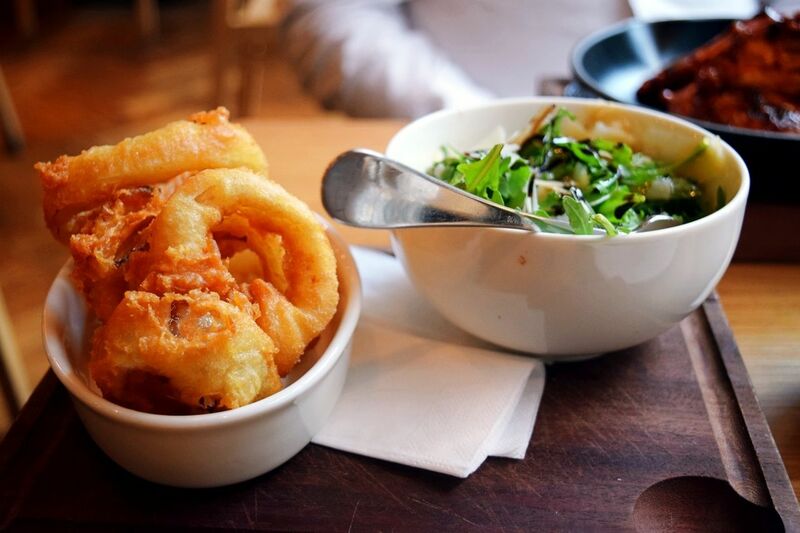 I also ordered a portion of onion rings alongside, instead of chips which were lovely. 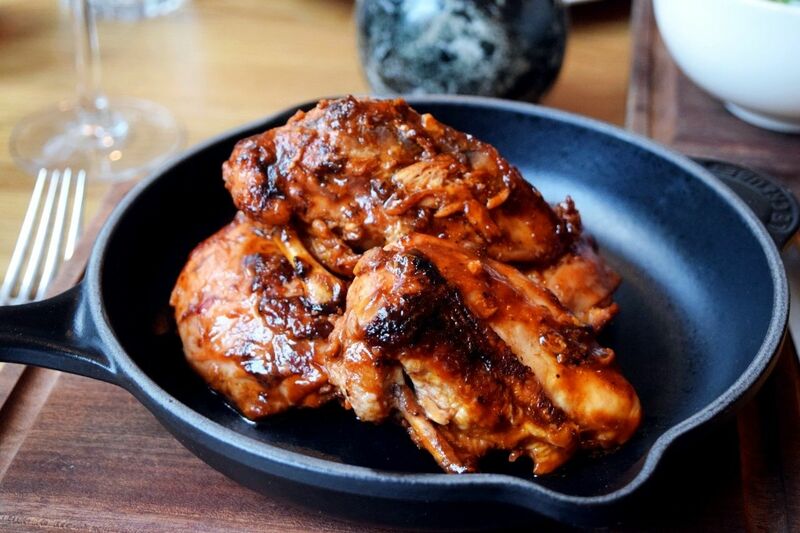 Danny chose the BBQ baby chicken from the specials menu, this was a baby chicken covered in a BBQ glaze and came with a side serving of salad and was served in a mini frying pan. It was sweet and smokey and nicely cut into four sections which made it easier to eat. The BBQ sauce wasn’t too strong and chicken was lovely and moist. 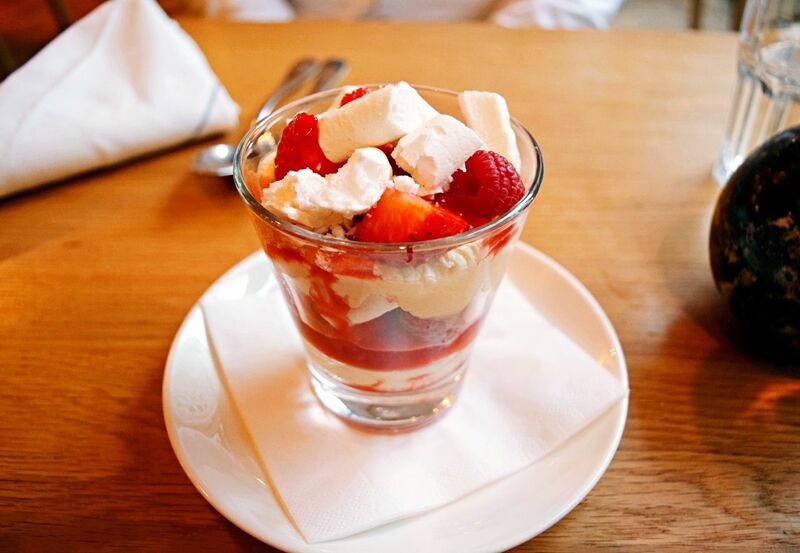 We were pretty stuffed by the time dessert came round, so we decided to share the Eton Mess. This was as usual for an Eton Mess, packed with meringue, strawberries and cream. It tasted just right but I think I would have preferred it served on a plate or bowl rather than a glass, as it’s just quite fiddly. 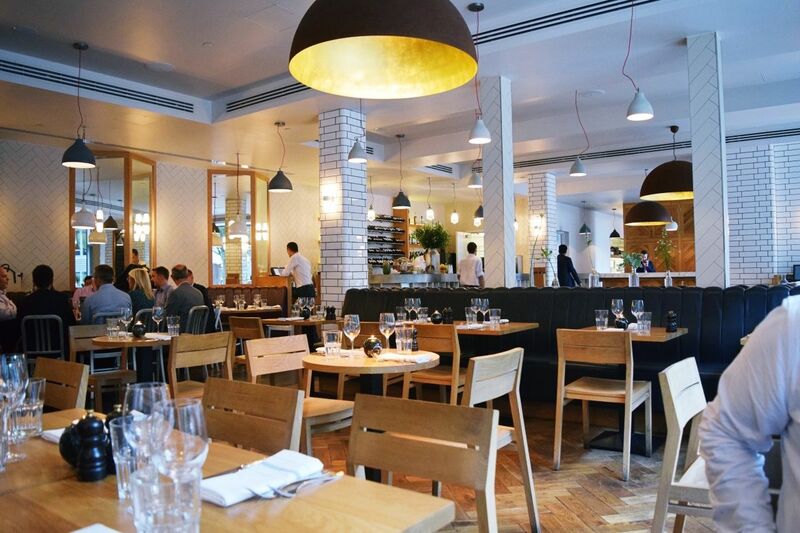 Our dinner at Tom’s Kitchen Canary Wharf was lovely, the food was excellent and the service was great. I definitely wouldn’t hesitate at popping in to one of the other branches. 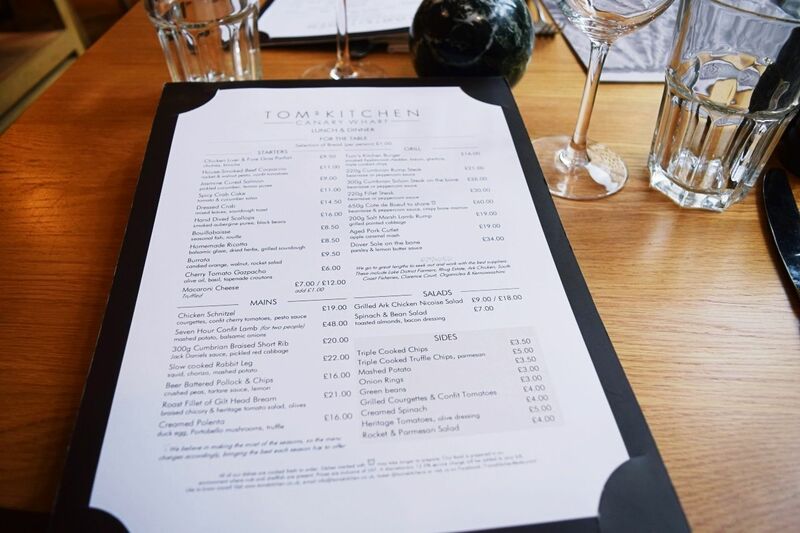 Visit Tom’s Kitchen online to book or view the menu.